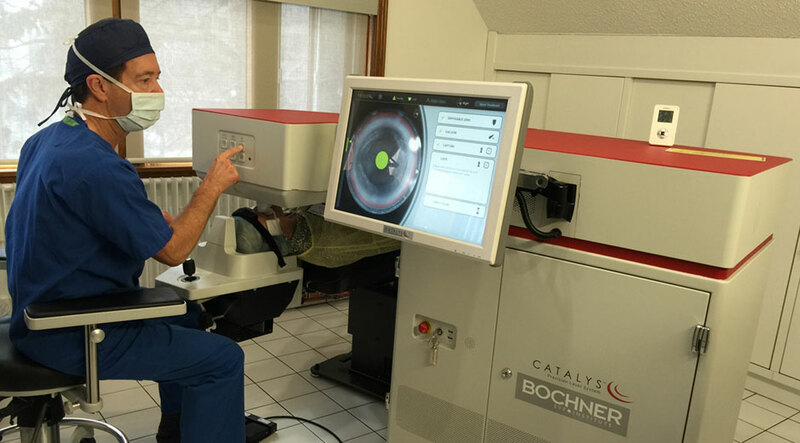 Let the Bochner Eye Institute provide you with the knowledge needed to help you make the most informed decision regarding your laser vision correction options in Toronto, Scarborough, Unionville and Oakville. For your convenience, the Bochner Eye Institute offers complimentary evaluation by appointment. The consultation is a visual assessment that will help to determine if you are a candidate for laser vision correction. Your consultation appointment will be scheduled with one of our knowledgeable refractive counselors. A consultation provides you with a one-on-one opportunity to freely discuss your questions, future developments as they relate to refractive surgery, any personal concerns, fees and payment plans in detail. You will have the opportunity to tour the laser centre – learning more about the high quality of service and expertise that has become synonymous with the Bochner Eye Institute. On average the assessment will last 45 – 60 minutes, however the staff at the Bochner Eye Institute will spend as much time with you as needed in order to make you feel comfortable. The Bochner Eye Institute is proud to offer no cost consultations for their patients. Thesurgical team of Dr. Raymond Stein, Dr. Albert Cheskes & Dr. Fatimah Gilani are dedicated to providing exemplary patient care. We treat a variety of patients seeking LASIK, PRK, cataract surgery, RLE, ICL, keratoconus treatment and AMD in Toronto, Scarborough, Unionville, Oakville and throughout Ontario.